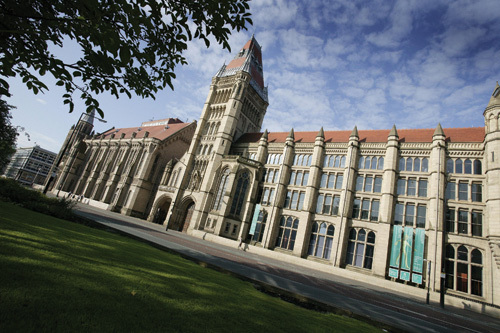 'Broderick's are a Valued Vending Partner to The University of Manchester. They deliver a passion and focus, to deliver a first class vending provision to one of the largest University Campus's in Europe. Broderick's recognizes that great customer service is essential to a successful business. They deliver innovative touch screen machines through efficient technologies which are interactive to our student customers, providing numerous payment methods, create ease of use, and engagement in on screen and pack promotion. Broderick's enthuse passion throughout all of the team. An efficient service is delivered by a dedicated Field Service Team on a day to day basis with all machines being fully serviced and merchandised. Vending at Manchester University had become a distress purchase: a last resort for students and staff when an energy dip hit outside cafe and shop hours. Stocked with the same old drinks and the same old narrow snack selection, it certainly wasn’t a choice to be relished. Add to that the desperate fumble for change to feed a coin-only machine that consumers inevitably had to endure, and vending machines weren’t pulling their weight in generating revenue for the university. But the university realised there was another way and called in Broderick’s to provide a better vending solution. Together, the University of Manchester and Broderick’s are trending vending! Broderick’s served up a vending solution that has revolutionised the way the University of Manchester benefits from its vending services and its 10,000 staff and 36,000 students now actively choose to buy from vending machines! Whereas in the past, the tender was won by the vending companies that offered the biggest rebate, Broderick’s has grown the university’s vending market x fold, so it now receives more profits on more sales. Building student and staff desire for high quality beverage and snack experiences delivered by a convenient vending machine, it has created a need for vending at the university. By pitting the quality, innovation and choice available from vending machines against offerings from the high street, forecourts, discounters, newsagents and supermarkets, Broderick’s has raised the bar in university vending. Bringing in depth consumer insights to the table, Broderick’s has propelled innovation for the University of Manchester, to continually engage with the consumer. Regular promotions on the Broderick’s innovative touch screen vending machines build awareness and familiarise everyone from new starters to long-term lecturers with updates to vending options. Supporting bespoke marketing activities tailored to the audience, Broderick’s touch screen machines at the University of Manchester have carried successful promotions to win tickets to concerts and events, as well as introducing meal deals, multi-purchase special buys and discounts. Making payment hassle free has been key to the success of vending at the university. Broderick’s machines offer everything from Apple Pay, paypal credit card, as well as sterling notes. Installing the latest, innovative and interactive machines, Broderick’s has ensured that the vending experience for students now rivals any coffee shop, thanks to thoughtful touches like real skimmed milk, high quality coffee and real leaf teas. Broderick’s has even introduced a Better for You range for health conscious students and staff...along with a wide range of snacking options. -	For the university’s facilities management team, Broderick’s offers a seamless solution, with a 24/7 helpdesk directly to its customer service and maintenance team. -	With the fastest service response in the industry, there’s no down time reducing profitability. -	Thanks to remote reporting, the university can track the popularity of the vending offering – and feedback is extremely positive.